Sheila Houghton married Raymond Oscar Lavoie. Raymond Oscar Lavoie married Sheila Houghton, daughter of Herbert G. Houghton and Medora Albina Bessette. 1940 Census 1940 Sprague, New London Co., CT, USA, age 31, cotton mill slasner? Herbert G. Houghton married Medora Albina Bessette in circa 1928 age 17 and 18. 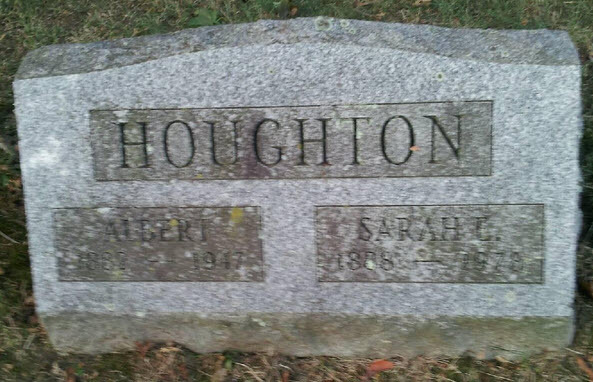 Albert Houghton married Sarah Elizabeth Howson in circa 1908 age 26 and 19. Sarah Alice Haworth married Henry Houghton. Henry Houghton married Sarah Alice Haworth. Sarah Elizabeth Howson married Albert Houghton, son of Henry Houghton and Sarah Alice Haworth, in circa 1908 age 26 and 19. Rebeckah (?) married Friend Crane, son of Elijah Crane and Sarah Houghton. Abby (?) married Friend Crane, son of Friend Crane and Rebeckah (? ).